If your Spring FellowShipment will be shipped: it will be shipped to the address on file for your membership on or after February 7th, as weather permits. Please note: we will hold shipments addressed to all destinations experiencing freezing temperatures and will ship as soon as weather safely allows. Please let us know if you foresee any upcoming delivery conflicts this quarter in the event that your shipment is rescheduled because of weather. If you need to update your membership, change your shipping address or reschedule your delivery, please do so no later than Monday, January 29th to ensure that this information is applied to your Spring FellowShipment. Update your membership on here or email fellow@frogsleap.com for assistance. Someone over the age of 21 must be available to sign for your package upon delivery*. If undeliverable for any reason, your FellowShipment will be returned to the winery. Return and/or reshipping fees will apply. We always recommend shipping to a business address for convenient and successful deliveries. If your Spring FellowShipment will be held for pick up at the winery: it will be available for pick up beginning Thursday, February 1st through Saturday, March 31st. Please note the winery will be closed on Sunday, April 1st. If not picked up by Saturday, March 31st, for your convenience, your FellowShipment will be shipped to the address on file for your membership for you to enjoy. Shipping charges will apply*. We always recommend keeping a business address on file for convenient and successful deliveries. Join us at the winery on Sunday, February 25th for the Spring FellowShipment Social. Your R.S.V.P. is required no later than Monday, February 19th, click here for details. The Fellowship team will be unavailabe on these days as well. * If your FellowShipment cannot be delivered after three delivery attempts, it will be returned to the winery, return and/or reshipping fees will apply. You are responsible for all address changes for your membership and the delivery of your wines. If you have trouble with your delivery, please contact us as soon as possible to avoid incurring fees. Changes to your membership (such as a new shipping address) made after Monday, January 29th will not be applied to your Spring FellowShipment. Please contact us directly with any last minute membership changes. 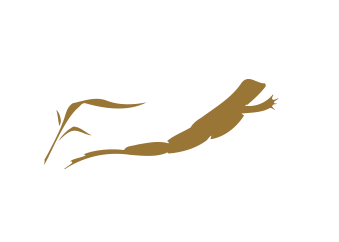 Frog's Leap cannot be held responsible for delivery delays beyond the winery's reasonable control due to circumstances such as extreme weather, natural disasters, carrier errors, etc. Click here to review the fine print on your membership.